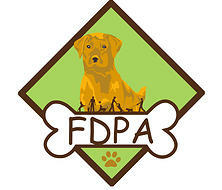 This family fun festival on Sunday, November 1, showcases local, dog-friendly organizations and businesses and introduced visitors to the layout of the dog park on the land that the City of Fredericksburg has granted to the FDPA. Pet friendly organizations attend such as groomers, pet sitters, and veterinarians provide discounts on services for your dogs. We also have a Pet Photo Booth, an Agility Course, the Clear River Food Truck, and festivities for kids. Stop by Lochte Feed’s booth for free pet food samples and giveaways! This entry was posted on Wednesday, September 30th, 2015 at 10:18 pm	and is filed under Events, News & Updates. You can follow any responses to this entry through the RSS 2.0 feed. Both comments and pings are currently closed.